Often during a chess game, you have so many different choices of moves in a position (especially, in a middlegame position) and each of them might seem reasonable. The important part is that we need to calculate the attacking possibilities very precisely. 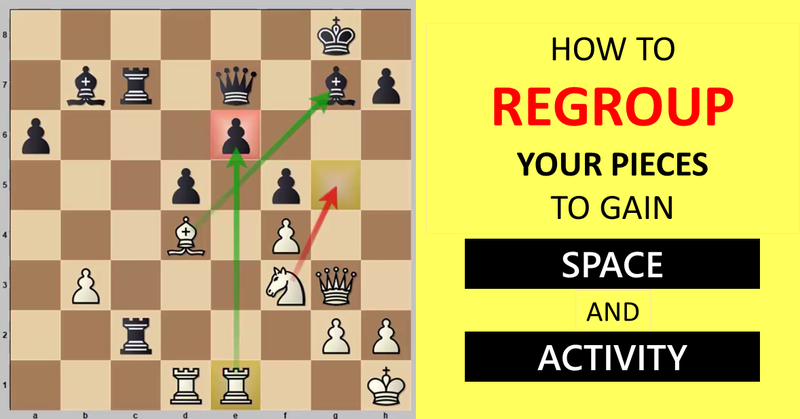 Most players would spend about 20-30 minutes in the process of making a decision in that ‘critical position’ and unfortunately, that player would eventually play a bad move or make a terrible blunder. Have you been there? Let’s take a look at a practical example. Black just played 23…Qc8 and it is White’s turn now. How would you evaluate this position? Well, White is two pawns up; one of them is doubled on the c-file, while Black has a Bishop pair for White’s Knight pair. How would you play here as White? You may also record your calculations/variations for your convenience. Please, take a few minutes and consider this training as a serious one. After calculating all possible variations, continue reading. –> 6th of the Netherlands, beating Anish Giri in the process, twice. He gained crucial fun skills in teaching chess. He will be traveling around Europe making videos and live in nomad lifestyle. P.S. Did you correctly calculate the position above? Did you find this video instructive? What are your impressions on Miedema’s lesson? Feel free to comment below and discuss. outstanding article and wonderful lessons thanklyou so much for this great teachings .dear igor is david medima is available for coaching? ?thannkyou.please engage him to make paid courses as well.thanks. It’s good to know you enjoyed the lesson! I’m not sure if David is available for private coaching, but thanks for your suggestion to engage him for future paid courses! Your feedback about RCA authors is very important for me. Can you analyze this game/position using the course concepts Calculate Till Mate? We have made a note of it. 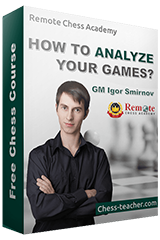 You can find lots of games analysed by GM Igor in our YouTube Channel. okk sir it is my pleasure thnks for your time and responses dear sir gm rb ramesh is one of the best indian coaches ever and he is frined also on whatsapp and skype can you please contact him for making lessons in rca?? dear igor sir i want to dicuss an itneresting topic that you have never heard of beocome there is a women of 34 years age of icc website her rating is 2790 and you will be surprised that how fast she played very accurate moves and she beats latest stockfish 8 and cfish and aslo tomorrow magnus app at age of 26.how is this possible for anyone? ?she is not a titled player alsos is she cheating what do you think sir. Interesting story. There may be some strong player playing with that account who did not bother to contact ICC for the displaying the title. Or they could be cheating. If they are cheating I am sure ICC will stop it eventually. ok sir you are ocmpetely right she is using strong engines tahnks for help .what is igor going to do next?? We will let you know about this in our blog posts.